Sanam Marvi Sindhi Sufi Music Singer. She was born on 17 April 1986 in Hyderabad Sindh. She is great singer of Pakistan and Sindh, she create great name in Sindhi Songs and Sanam Marvi Sufi Songs are very famous in all over Sindh. Sanam Marvi started her carrier from Pakistan Television "Virsa Heritage" program. She has appeared at Coke Studio, a Pakistani Television series featuring live Music performances. 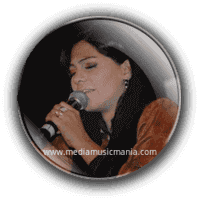 Sanam Marvi performed Sufi concerts around the world. She is among the finest performers in the Ghazals, Classical Music, Folk Music and Sindhi Sufi Raag. She has performed in 2010 Jahan-e-Khusrau in India Sufi Music program arranged by the famous Film producer Muzaffar Ali and also she performed with Indian playback singer Rekha Bhardwaj at Times of India's Aman ki Asha event at Chowmahalla Palace, Hyderabad, India. She is famous Artist in Sindhi Folk Music and she sung in different languages such as Sindhi, Saraiki, Punjabi and other languages. She has sung lot of great songs with Hadiqa Kiyani and Ali Zafar and also Legendary Classical Music Singer Ustad Rahat Fateh Ali Khan. I have selected below most popular Sindhi Classical Music of Sanam Marvi.